After the scourging heat, the inhabitants of Douala welcomed the rains like desert patches surviving a draught spell. Sighs of relief as people all looked forward to blessed coolness. The dry season heat had been unbearable. People eagerly anticipate the cool fresh scent of rain. Life suddenly looked promising or so it seems. Barely a few scant months into the rainy season, the economy giant ship of Cameroon is plunged into a flood. 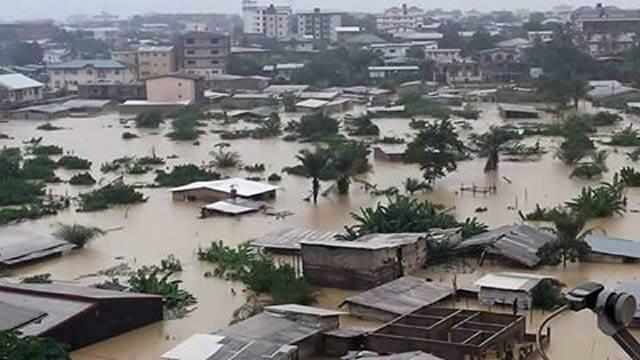 For the past few days, Douala has especially the neighbourhoods of Makepe and Bonamussadi, been submerged in water reminiscence of the Noahic floods. Lives are at stake. Properties heavily damaged or completely lost leaving people stranded. About three kids are said to have been the first victims. Yet, there seem to be a pervading nonchalance to the overall tragedy from the powers that be. News concerning the flood is limited. In fact, without social network, many probably couldn’t have heard about it. This seems to be the recurrent norm during the rainy seasons. Year in, year out heavy floods affect this economic capital. People suffer; accusations and counter accusations fly left and right. The blames land on the government and people quickly forget ‘one hand no di capsa canoe’. 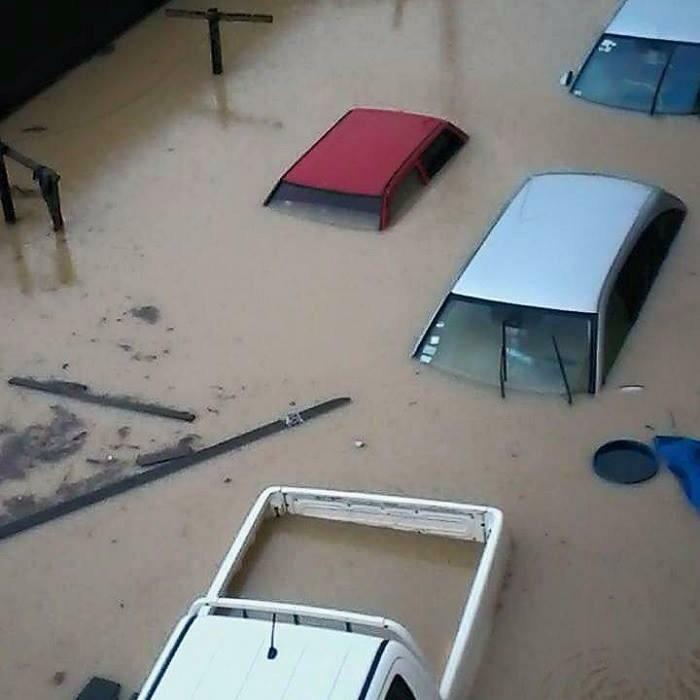 What then causes these frequent and recurrent floods during the rainy season? Inadequate drainage? Now that is a thought but not likely. Does this mean the government is absolved of any responsibility? People’s action is listed among the possible causes above. How is that possible? Some few words I heard recently come to mind. Placed in this context, their meanings are similar. People decide to push or fill swampy areas to build houses and redirect water in such a way that the results are floods during the rainy season. Furthermore, Poor habits of waste disposal with people throwing refuse ever which way clog existing drainages and make it difficult for water to flow properly in case of heavy rains. This is all done in defiance to existing laws and appeals to evacuate the area time and again fall on deaf ears. As cities grow and housing becomes a problem, these practices are rampant. Swampy areas are poorly prepared by people who hastily build houses without the necessary safety precautions. It goes without saying that human action contributes greatly to tragedies. 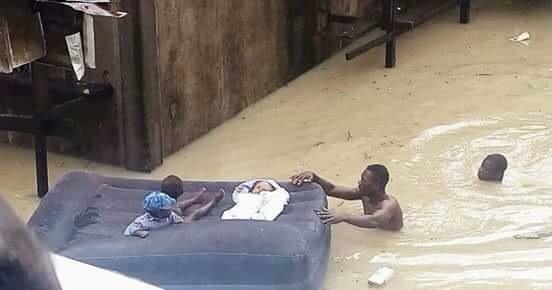 While we mourn and suffer with those affected by the flood even cursing the government in the process, we cannot dismiss people’s actions that contributed towards this tragedy. Yet, the powers that be carry the bulk of the blame. It is their responsibility to provide relief to their subjects during such dire situations. It is also their responsibility to provide their subjects with adequate housing and other basic necessities. It is equally their responsibility to make sure their people are protected as much as possible from such disasters. Thus the questions flow; why the seeming nonchalance in the face of a sinking township? Where are the captain, his trained crew and the resources put in place to fight such disasters? Questions begging for answers meanwhile the flood keeps raging with no signs of relief in sight. This is a direct consequence of a lack of town planning, where no provisions have been made for growth and expansion. It happened in Limbe last year and now it is Douala’s turn.Yet we have a ministry of town planning and urban development. What an irony. Thank you Sis Maureen for stopping by. Stringes of disasters happening in relation to adequate housing. I couldn’t agree more about the irony of the whole situation with a full fledge ministry in place. I love your conclusion. There are more parties involved in this than we might want to admit. We all have a role to play in this. Thanks for doing your own part. Thank you Kamga for stopping by and the encouraging words. Looking forward to seeing more of you around. Thank you Big Bro James TT for stopping by and for always being so supportive. You sure did raise some pertinent question which beg for answers. Let’s hope before nature unleashes its fury to eliminate this city as probably the least fit in Cameroon, actions will be taken to redress this recurent flood problem.